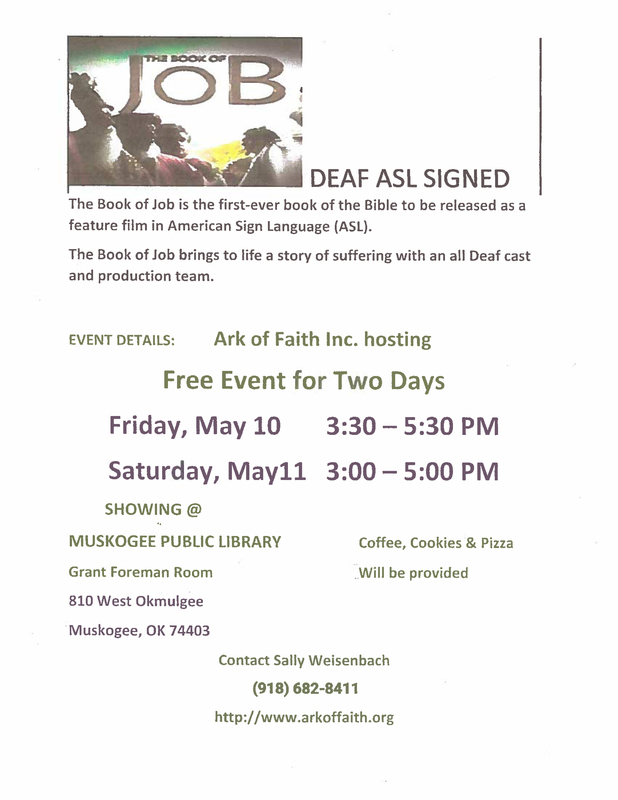 ‘The Book of Job’ Film in ASL (American Sign Language) – was the first ever book of the Bible to be released as a feature film in American Sign Language (ASL). This film bring to life a story of suffering with an all deaf cast and production team. This FREE event is hosted by the Ark of Faith, Inc. Complimentary coffee, cookies and pizza will be served.